Sometimes the must-see, must-do, must-eat place in a city that is often recommended to tourists is not a trap, but a place locals love as well. Every now and again you get to be a tourist and a local at the same time, experiencing something fresh and new loved equally by natives and visitors. 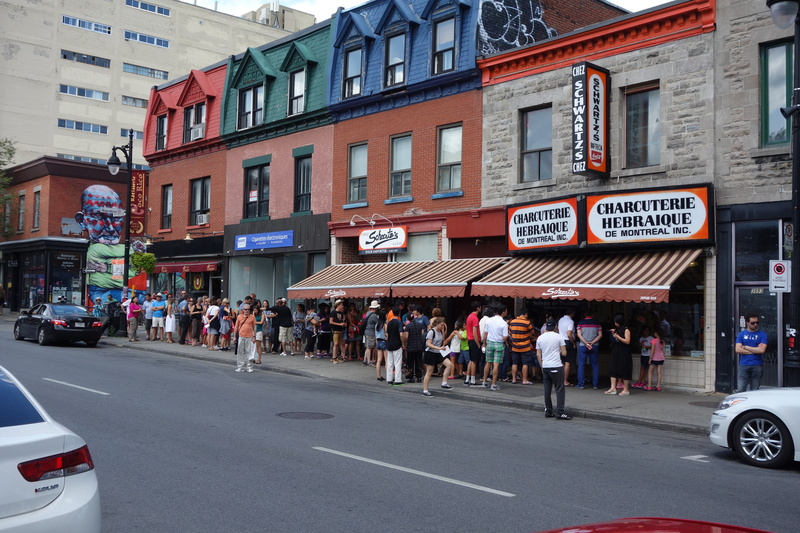 Schwartz’s Deli in Montreal is one of those places. Opened by Reuben Schwartz in 1928, the long thin tables, and white tiled walls have been a magnet for Montrealers, and visitors for nearly a century. I arrived just before the lunch rush and grabbed a seat at the counter with a colleague. Franco, a Borat looking character with dark, wiry hair, glasses, and a big smile sat us and returned to serving the piled high sandwiches. “Why are you talking to me? !,” he wondered as I prodded him with questions about the legendary place. He has that perfect blend of sarcastic snark with a hint of a grin, as if you had caught The Soup Nazi on a good day. Surly, but with a smile. The people next to us had pickles next to their sandwiches, some did not. I wondered if those came with the order. “Doesn’t everyone want a pickle?,” I asked Franco. “Only if you like a pickle,” he bit back. “Can I have a pickle please?,” I responded. “I don’t know … can you?,” he smirked. I asked Franco to take a photo with us, he did. And then took a selfie. Photos of celebrities dot the walls of Schwartz’s, chief among them Celine Dion. She had just visited the week before we arrived, buying the entire crowd their lunch before she left. A single man waited at the door for tables to clear as the busy restaurant was nearly full. “Here!,” Franco motioned to the man, pointing at a table for 4 that only had a couple sitting at it. “This is how you meet people! You talk to them! 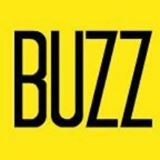 Put that phone away!,” he continued to admonish the customer who sheepishly did what he was told while the rest of the crowd giggled. And now you see why the place is so popular. It’s more than the food. It’s more than the one tonne of Alberta beef that is seasoned and marinated for 10 days before smoking. It’s more than the huge piles of meat and rye and mustard and pickles that are so delicious. Legends are made beyond the food. 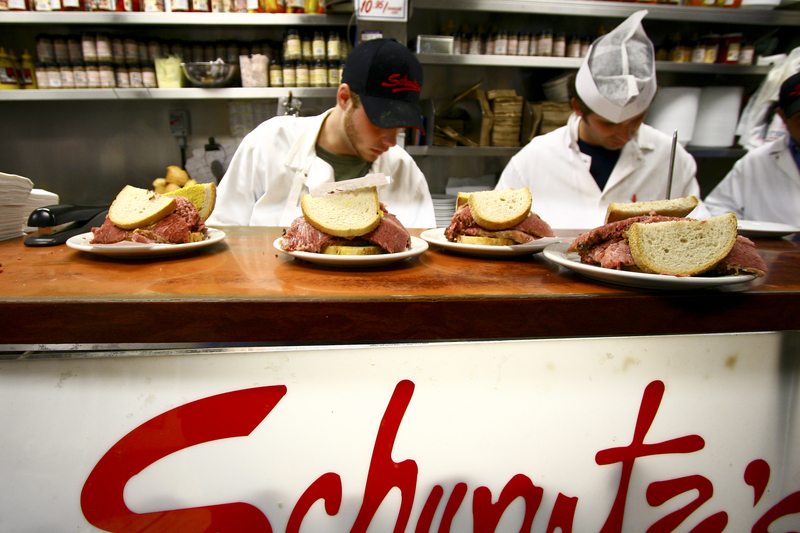 It’s the experience, and having lunch at Schwartz’s Deli is just that. Combined with the legendary food, it makes for a must-see, must-do, must-eat place for every Montreal tourist list. Smoked Meat Sandwich, Cott’s Black Cherry Cola, and a pickle. But only if you like them.